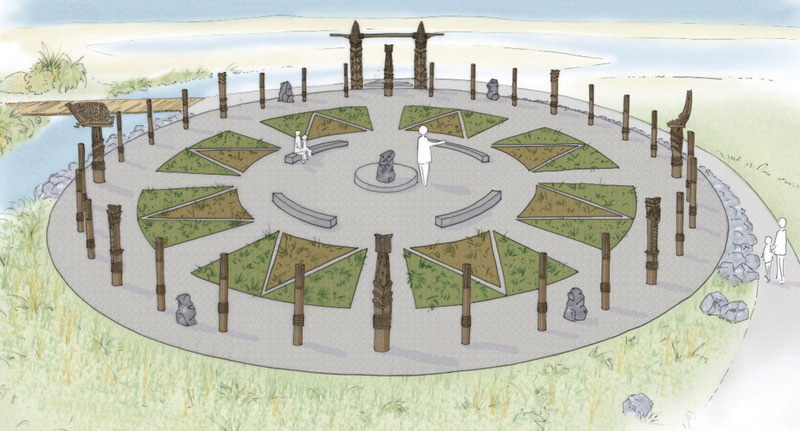 An artist rendering of the Star Compass project in Hawkes Bay, New Zealand. Drawing provided by Piripi Smith of Te Matau a Māui Voyaging Trust. For thousands of years, Austronesian (南島) navigators (Tohunga) piloted primitive, double-hulled sailing ships called “waka” across vast stretches of the Pacific and Indian Ocean. These highly-trained sailors traveled across hundreds or thousands of kilometers discovering uninhabited islands, creating new colonies, and developing trade networks. What’s hard to believe is that these navigators traversed these great distances using no technology or maps, but instead relying on tuning into the stars, winds and Mother Nature. According to many scholars, these skills brought ancient ancestors from Taiwan to settle the vast area known as Austronesia, including the Philippines, Hawaii, Easter Island, Madagascar and New Zealand. 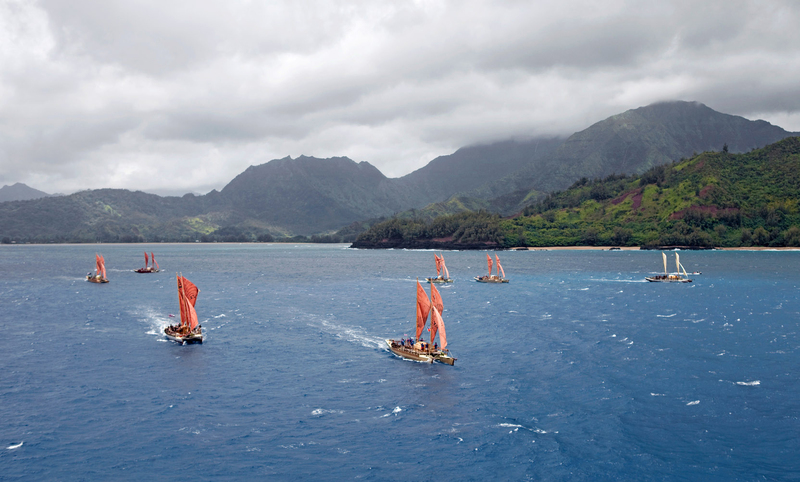 Traditional Maori wakas sailing near New Zealand. Photo provided by Piripi Smith of Te Matau a Māui Voyaging Trust. 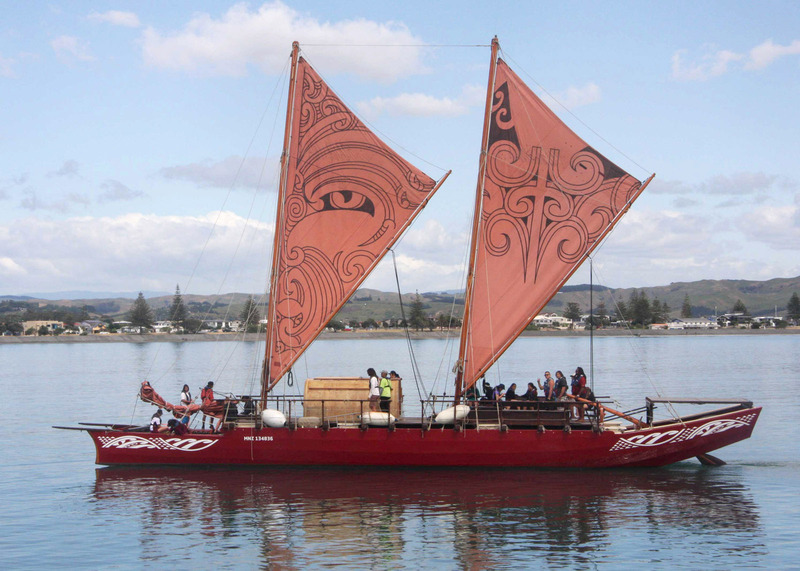 One group in New Zealand that prioritizes the preservation of this tradition is Te Matau a Māui Voyaging Trust, which manages a program called Waka Experience. 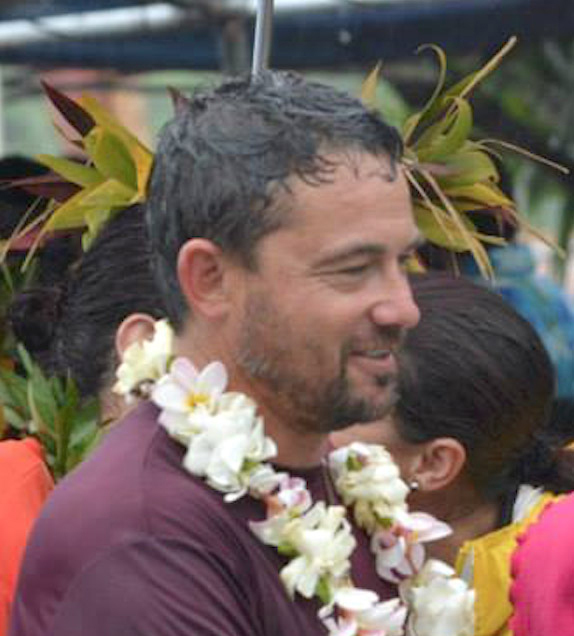 The organization is led by Chairman Piripi Smith, who is an experienced Maori navigator. The Trust is partnering with Hawkes Bay Regional Council to undertake an ambitious project to build a large public project called the Star Compass. Not only will the project serve a functional purpose, it will also revitalize the historic Waitangi area. A photo of Mr. Piripi Smith, Maori navigator and Chairman of the Te Matau a Māui Voyaging Trust. Photo provided by Piripi Smith of Te Matau a Māui Voyaging Trust. The Star Compass consists of thirty-two carved wooden pous (totems) approximately 2-3 meters high placed in a large circle outdoors. Six large limestone rocks will also denote the solstice points and centre of the compass. Four main pous for the North, East, South and West directions represent the four corners of the Austronesian world. The carved designs of the South Pou represents Aotearoa (New Zealand), the East Pou represents Easter Island, the North Pou represents Hawaii, and the West Pou represents Taiwan, home of the Austronesian ancestors. 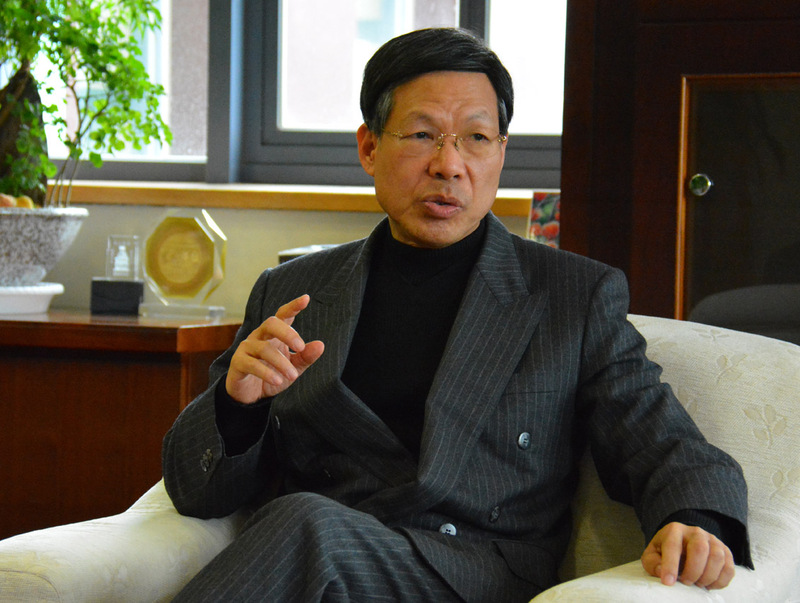 Director Shannan Chang of the Taiwan National Museum of Prehistory. Photo provided by the Taiwan National Museum of Prehistory. 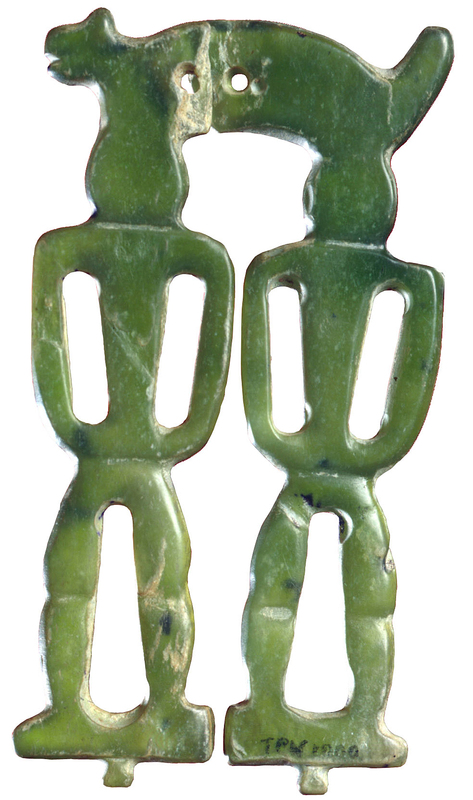 Piripi Smith’s team has chosen the main indigenous design, which is from a Beinan Period jade artifact, as well as some other design elements to use in Taiwan’s pou. He is currently in a fundraising stage to build the project. The Star Compass project is tentatively scheduled to open in February 2017, depending on the success of finding sponsorship and other funding. 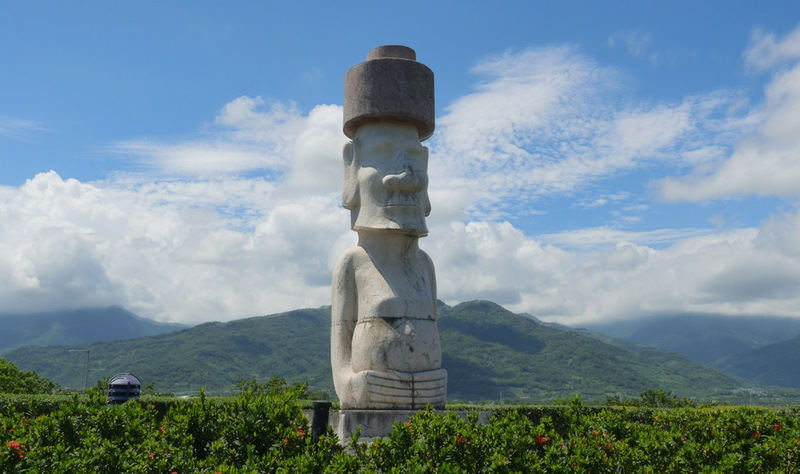 A large moai statue similar to those found on Easter Island sits on the grounds of Taiwan’s National Museum of Prehistory. Photo provided by the Taiwan National Museum of Prehistory. When the Taiwanese people look at projects like this, they shouldn’t underestimate what international opportunities Taiwan’s Austronesian heritage can provide for its future. The ornamental jade ornament from the Beinan Cultural Period chosen to be used in the Star Compass project. Photo provided by the Taiwan National Museum of Prehistory.